Ellis is far and away Sendek’s most intriguing signing. Tempe, AZ – After an already active recruiting offseason, Coach Herb Sendek received another big verbal commitment from former Cincinnati Bearcat Octavius Ellis. Ellis who is originally from Whitehaven High School in Memphis, Tenessee, who will play for Trinity Valley Community College (Athens, TX) this season, is far and away Sendek’s most intriguing signing. He has NBA size (6’10”) and two years of remaining college eligibility. But all of Ellis’ on-court intrigue pales in comparison to how interesting his story is off the court. Octavius Ellis’ story reaches far beyond the hardwood. To talk about Ellis only in basketball terms would be improper use of the written word. He cannot be explained in rebounds (7.7 RPG in 24 games for TVCC), blocks (75 total), field goal percentage (66.8%) or assists (31 total). Ellis was just 10 years old when he heard a gunshot ring through his Memphis home. This gunshot, according to an autopsy performed by a Shelby County Medical Examiner, killed Ellis’ mother immediately. According to testimony, Octavius “ran into the living room where he saw the victim lying on the floor with blood coming from her nose and mouth.” He then sprinted away from his mother and after the gunman, his step-father Kevin Rudd. Ellis had seen him minutes earlier with a gun sticking out of his pants pocket. Rudd was found guilty of first degree murder and sentenced to life in prison in 2003. He was later granted a new trial due to improper actions by the trial court. As you can imagine, Ellis’ life has never been the same. Though he’s undergone plenty of counseling, emotional issues continue to plague him. As a star at Whitehaven High in Memphis, Tennessee, Ellis was ranked 131st nationally and drew interest from several D-1 schools. After a rocky senior season full of technical fouls and sinking national interest, Ellis accepted an offer from a mid-level program at the University of Cincinnati. The change did little for Ellis and his problems. He only played in four games for the Bearcats due to a hand injury, but was then suspended for participating in a brawl with Xavier in December 2011. In mid-May, Cincinnati dismissed him from the team after an incident at a downtown nightclub. 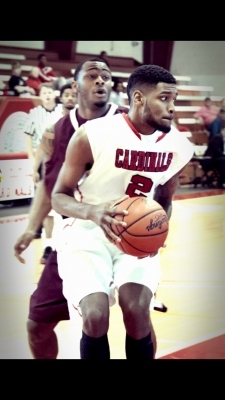 Trinity Valley College became that new environment Ellis needed. Last season he got a chance to start and kept his temper under control. 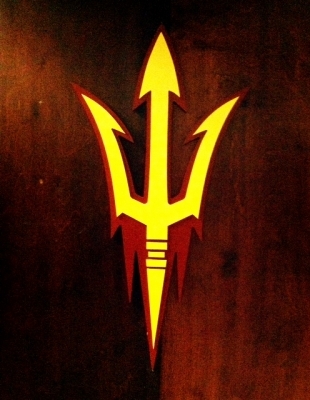 He will spend another season honing his craft down south before joining the Sun Devils in 2014. While he is absolutely a work in progress mostly off the court, Octavius Ellis has the potential to be a big contributor for the Sun Devils. He will help replace the big size of Jordan Bachynski who graduates after this season, and will provide experience to what will be a young team, particularly in the interior. With D-1 talent and a chance to compete in the Pac-12 Conference, Octavius Ellis could be a force in 2014. Time will tell if he can overcome his traumatic past and turn a maroon and golden opportunity into a bright future.